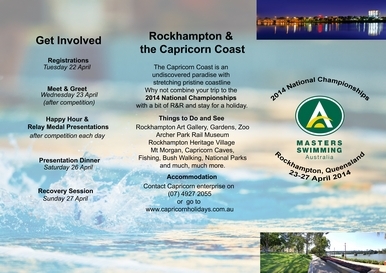 For an A4 copy of the Brochure, click on the top page . 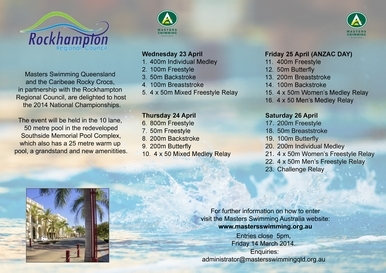 The National Championships in Rockhampton will host an Open Water Swim on Sunday, 27 April. Open Water Swim distances: 1.25km, 2.5km and 5km - a choice of one. The Open Water/Ocean Swim will be held in Yeppoon on Sunday, 27th April 2014. The OWS is scheduled to start at 8.30 a.m. to be confirmed. 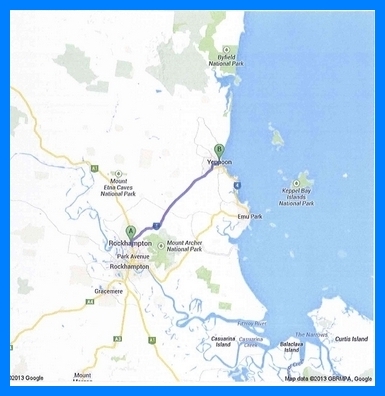 Yeppoon is 36 km from Rockhampton on the Yeppoon Rd/State Route 4 road.